Tonight I thought I would talk a little bit about freedom. It’s a word that’s very important in the tradition of Trika Shaivism—Svatantriya. Svatantriya means freedom of self-expression. It’s said that Lord Shiva (aka this reality) has total freedom of self-expression, Svatantriya. Now, what do we need, what are the requirements for experiencing that? My idea of freedom—from our perspective as not totally enlightened beings—is a kind of radical ease that allows you to respond and make choices in any particular moment without fear about what’s going to happen and without being conditioned by what’s happened in the past. 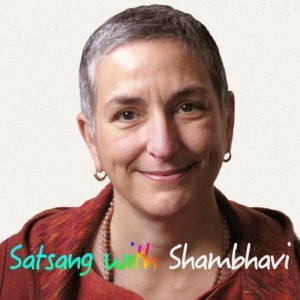 So what we can hope for as practitioners in human bodies is that we can get to a point where we feel so easeful in life, so unobstructed by concern for small self’s survival, that we can be aware in each moment and be responding without fear of the outcome of our actions, and without projecting our Karmic realm visions on to possible outcomes. People sometimes say I’m thinking of doing thus and such. Then they come up with an Octopus of possible outcomes, and all the arms of the Octopus are around their neck basically, holding on to their hands and feet tying them down from actually doing anything that has any wisdom involved at all. But when we have this kind of radical ease that comes from an experience of how reality actually is, then we can be in that presence, sensing things. And we can take action, make decisions, make choices, and respond to our circumstance without referring to what’s happened in the past and without projecting our karmic realm vision, aka our tensions and fears, on to these scenarios about what might happen in the future. When we have this kind of radical ease, we get a sense of rightness about things.